Government for Business: Atameken presents its new project to Kassym-Jomart Tokayev | The main task of the National Chamber of Entrepreneurs "Atameken"
The President of Kazakhstan Kassym-Jomart Tokayev has reviewed the status of implementation of the Government for Business project on the basis of the Chamber of Entrepreneurs of the Mangystau region. The goal of the project is the centralized provision of all state support measures and state services that are based upon "single window" principle, chairman of the Board of the Atameken National Chamber of Entrepreneurs of RK Ablay Myrzakhmetov said during the presentation. “Government for Business provides the entrepreneur with a wide range of services and consultations on the development of business, improving competencies and financing. The important point is that the businessperson knows exactly where he or she can address his question, regardless of the complexity of the emerging issues. Government for Business will ensure the creation of a single hub for entrepreneurs, and this will have a favorable effect on the economy of the country. In the future, the Atameken plans to multiply this project in all regions of the country,” Ablay Myrzakhmetov said. Government for business is an example of a clear and logical structuring of demanded business components, including five main areas: financing, sales, digital services, legal support and competences. An entrepreneur can get consultation of the microfinance organization Atameken, Agrarian Credit Corporation, Damu Entrepreneurship Support Fund, Kaspiy SEC and second-tier banks via the heading “Financing”. According to chairman of the Board of the Atameken National Chamber of Entrepreneurs of RK, the Chamber plans to include regular monitoring of all financial measures to support business in order to update information on the effectiveness of existing financial instruments, as well as forming a package of proposals to legislative acts to improve business conditions. The entrepreneurs can get advice on marketing, accounting, export support, government procurement, and obtaining certificates CT KZ via the heading “Sales”. An entrepreneur can get acquainted with the current legislation, as well as resolve business disputes in the pretrial order in the legal support sector. Information about training programs and projects is in the heading "Competence". Kazakhstani business has long been confidently transferring its papers and deals into electronic format. An example of this is the portal "Atameken services". 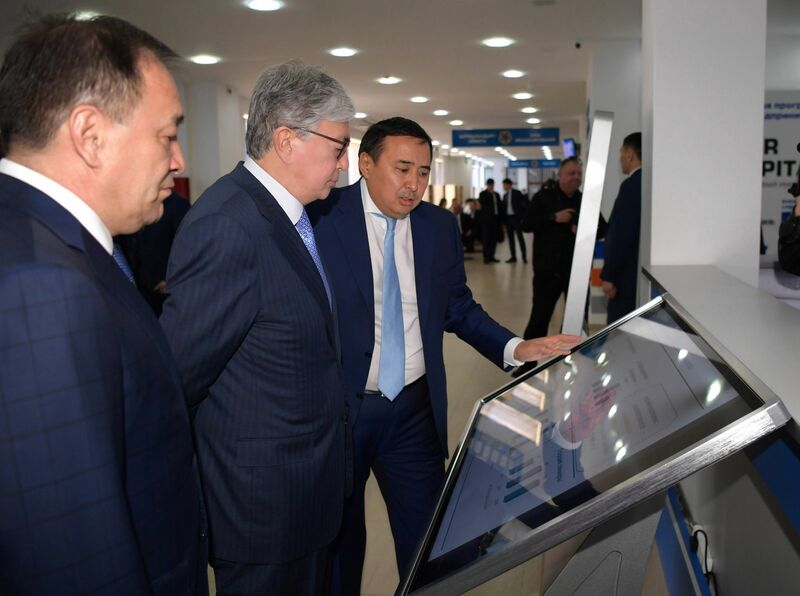 The Digital Services zone with 8 equipped workplaces is open in the Mangistau Entrepreneurs Service Center (ESC) for the convenience of businessmen. The entrepreneurs can independently undergo online training, get services in 8 directions and apply for financing their projects there. Ablay Myrzakhmetov focused on another project - the introduction of a rating of akimats to determine the effectiveness of the work of local executive bodies in creating favorable conditions for opening and running business. The representatives of the Atameken have presented to the President a rating, that was conducted in the region. The work of akimats was estimated by such indicators as land resources (availability of approved general plans and information on vacant land plots in the public domain, etc. ), licensing procedures (the proportion of agreed draft sketches, the percentage of refusals to issue technical conditions and architectural planning, the average time of project coordination, etc. ), access to financing (the sum of financed projects from the budget and financial institutions, etc. ), investments (the volume of attracted investments, etc.) and human capital (employment, introduction of dual training, vocational guidance). “This is not a full list of activities. But we believe that it is necessary to strengthen the personal responsibility of the top managers of state agencies and akims in matters of entrepreneurship development,” Ablay Myrzakhmetov said, adding that they will also assess the work of the directors of the regional Chambers according to the same parameters. 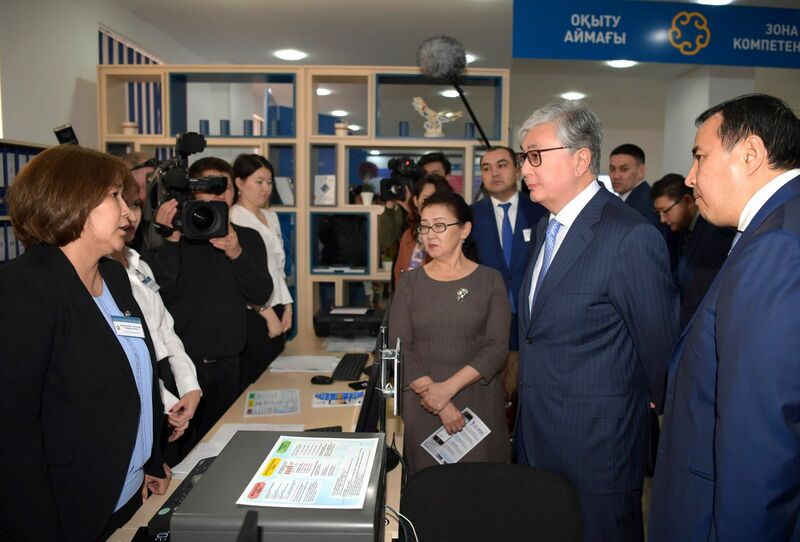 Also during the visit, President of Kazakhstan Kassym-Jomart Tokayev met with graduates of the Bastau project and personally asked them about their business. Graduates of the Atameken projects told about their businesses to the President. After studying the basics of entrepreneurship Altyngul Kaukarova opened a kindergarten in the village of Shetpe. A loan in the amount of 10 million tenge was allocated via the regional microfinance organization of the Atameken. Aitora Bukhayeva from the Tupkaragan district opened a dental office, which allowed the local residents to receive treatment without leaving the district. The young entrepreneur Komekbay Koibagar from the Kuryk village implemented a project for breeding cattle and camels, and currently provides the local population with dairy products. In 2018, 1,056 people underwent training under the Bastau project in the Mangystau region, including 305 people who started doing business and created about 1,000 jobs. Read more about how business is developing in Mangistau region in the article “It all started in Mangystau”.